Ask Leo: How do I get my files back from a closed upload site? 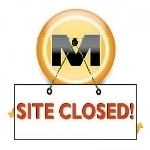 When megaupload.com was taken offline, many users’ files were rendered inaccessible. If a service provider goes away, it’s clear that you can lose your data.